" I just love Kentucky Gun Company! They are my "Diamond in the Rough" Company. I have had great service and excellent products from this company. If I have any questions they are on top of it quickly. Purchasing online is so easy with Kentucky Gun Company. Thanks again "
" This is a high value firearm. 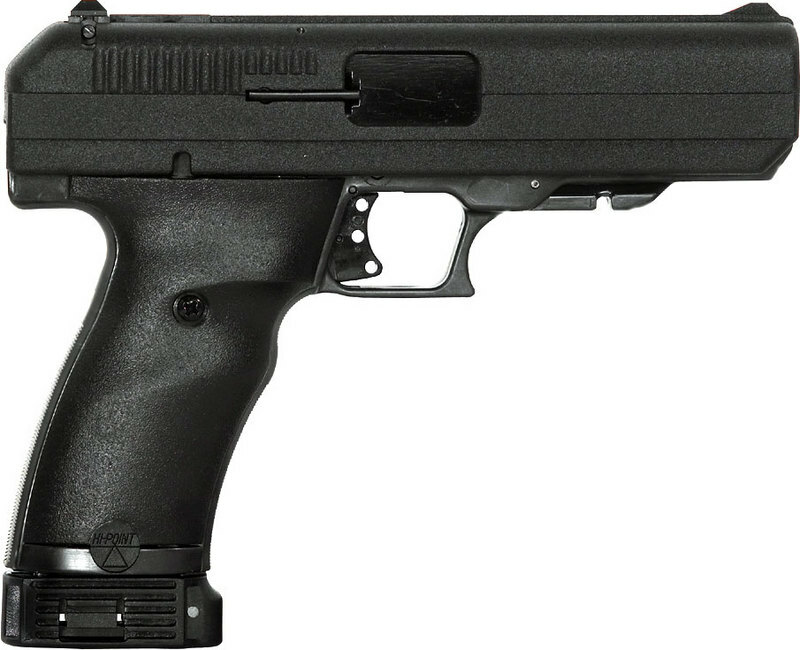 After enjoying my 9mm carbine, I decided to try out the JHP in .45 from Hi-Point. Im glad I ignored everyone. This has been a flawless firearm. Ive already spent more in ammo than the gun cost. Its heavy and ugly but it works. " " I own a lot of guns that cost much more than my new Hi Points pistol + carbine in .45but I have to say I like both of these very much. Accuracy and reliability are great. The .45 pistol is big and bulky..I wouldnt recommend it for concealed carry but if you run out of ammo, you can use it as a bludgeon! For the price, you cant beat them. Lifetime warranty is icing on the cake. " HI POINT YES IT IS!!!
" I bought the jhp45 semi automatic and the 45 carbine together. They go bang every time I want them to. They never go bang when I dont. Yall need to get over your boat anchor crap. These are good firing weapons.In 45 the pistol and carbine share magazines. Very handy in a tactical situation. I am very impressed with the company in Ohio, USA, that makes them. I messed mine up, and they fixed it free. It was my fault, and they fixed it anyway. GREAT WEAPONS, GREAT PRICES. " " Bought this gun nearly a year ago and have shot it multiple times. I have shot against many higher name brand firearms and have yet to walk away disappointed at its performance. Since then I have bought the 40S&W and going this weekend to purchase the 9 in the High Point. Great gun for the money!! Goes bang and hits where I aim every time the trigger is pulled "